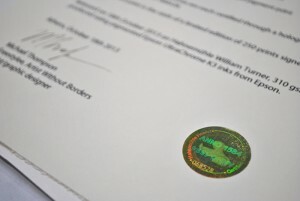 Freestylee Fine Art Prints at 50x70cm are certified through a gold hologram carrying a unique number. 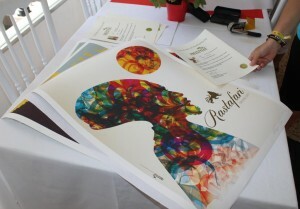 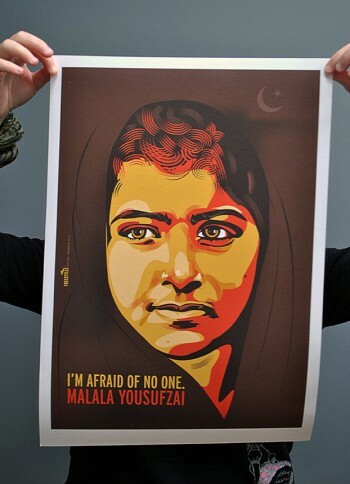 They are limited editions of 250 prints, emboss sealed and signed by the artist. 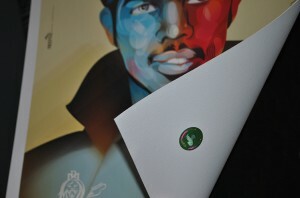 Printed on Hahnemühle William Turner, 190 gsm and produced using pigmented Epson UltraChrome K3 inks. 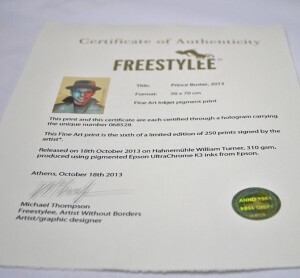 Freestylee Art Prints at 35x50cm are certified through artist’s certificate, emboss sealed and signed by the artist. 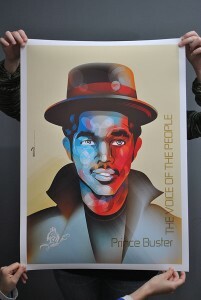 Printed on matt coated, 240 gsm, produced using Epson pigmented UltraChrome K3 inks and varnished for extra protection.